3.26 Acres with 2,400 SF Warehouse space. 2004 Metal Pole building 60x40 with reception area, conferencearea, additional office space with a kitchenette. The storage/garage has a built in secure tool room andoversize garage door. 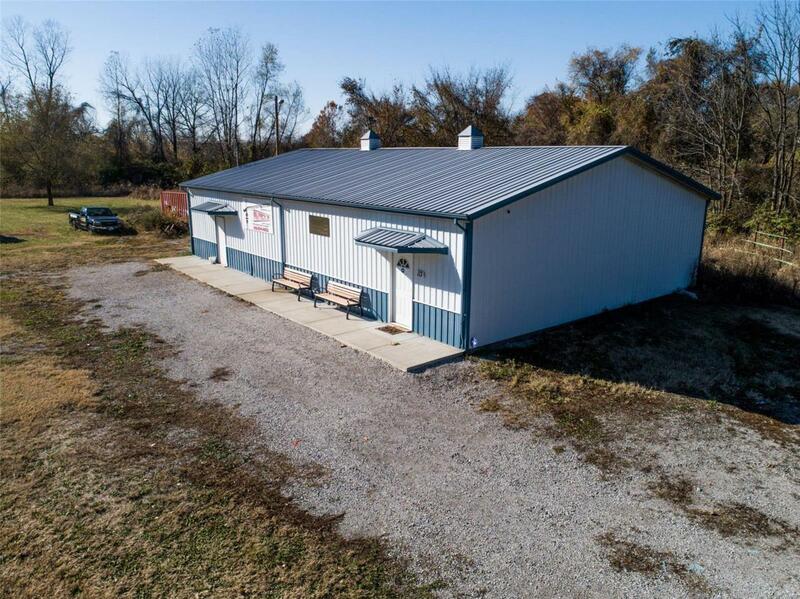 Ideal location for storage units, car dealership, lawn and garden facility or a secondwork area for your current established business. Business location sits at the corner of 157 and Lake/Foley Drwith high traffic volume. Two parcels are included in this sale 02340204059 and 02340204042 and the taxamount for the second smaller parcel is $61.60. All information needs to be verified independently by buyersor buyers agent.